DON'T RISK HAVING YOUR PASSPORT PHOTOGRAPH REJECTED! 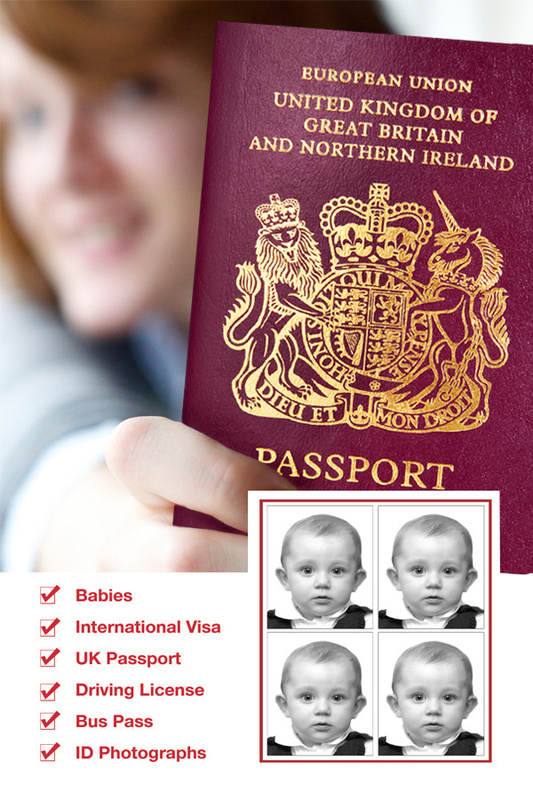 We offer a while-u-wait service for UK and non-UK passport/visa/ID photos which conform to the new globally agreed biometric passport standards recently introduced. We also cater for babies and young children. All you need to do is book an appointment with us, visit our studio in Edinburgh, have your picture taken and within fifteen minutes you will have your photos to take away with you. We are currently approved by the US Embassy and Canadian Embassy (which is one of the strictest in the world!). We also offer a mobile passport/ID photo service for those of you who may have a physical disability, mobility problem or you are a carer of a child with a learning difficulty/disability and cannot use a photo booth - we are happy to come to your home or workplace within a 5 miles radius of Edinburgh. Your passport photos are professionaly taken in our portraiture studio and sized very carefully. If your passport or VISA has particular photographic requirements please bring the specifications with you to ensure we get it right. Prints come in sets of 6 however some larger passport photos, such as for USA, India and Canada come in sets of 2. USA digital Visa photos uploaded to your usb stick or emailed.